You need to keep track of what’s been submitted, send follow-up emails to clients, then send a couple more follow-up emails... at the end of the day, let’s just say there’s a lot of room for error, and more importantly, room for improvement. Automated document collection systems are such improvement. They’re designed to make document management easier by digitising and automating the entire process. In this blog, we break down the seven benefits of automated document collection systems - take a look. One of the main benefits of these systems is the ability to get contracts and agreements signed quickly, without having to print them out and scan them back in once complete. Because you can e-sign documents (using a digital signature or equivalent), you remove the need for manual printing and scanning. Save the trees, and your sanity. Visibility isn’t just a question of added convenience – being able to track exactly who has seen and submitted a document is essential, and your organisation can be in serious jeopardy if you don’t have an accurate, comprehensive paper-trail. Automated systems do all that for you, ensuring that anyone can see at what stage each item is at, throughout the process. Automated document collection systems also reduce the chance for errors to creep into the document review process. We’re human, we all make mistakes - it’s easy to miss a comment scribbled on the bottom of a page or forget to send a document to a colleague for feedback. But an automated system reduces the chance for human error and improves the accuracy of the finished product. The customer experience is more important than ever - not to mention you should be trying to give your staff a good experience at work as well. Automated document collection helps do just that. Customers get a super simple client portal where they can submit or upload documents and you get dashboard and editor to request documents. The portal gives a guided experience that's far more intuitive for customers and a superior alternative to a dropbox file request or simple email. The less time everyone spends in searching for an attachment that has fallen off an email, or chasing a colleague to get them to look at a document, the better. That goes for your clients too. If they know signing-off documents from your organisation is easy, efficient, and reliable, they’ll be much more willing to send more work your way. There are a number of ways automated document collection can save a business money. Yes, you can save on the physical costs that come with copying, printing and storage, but you can also save on overall business process costs. Automated workflows help streamline processes from accounting, to sales, to brokers, to customer service and HR departments. And, optimising workflows can lead to everything from faster loan applications, to improved customer satisfaction and increased employee retention. Worried about compliance? Legal considerations have become even more important with the introduction of the GDPR – new EU privacy regulations that came into effect on 25 May 2018. These regulations impose major fines for breaches of personal data – up to 4% of your global turnover or 20 million euros, whichever is higher. And it doesn’t matter where you’re based. If your organisation deals with the data of anyone living in the EU or the UK, then the GDPR applies to you. Australia and New Zealand are also coming to terms with AML (Anti Money Laundering) legislation and tightening of obligations in the Property, Financial Services, Legal and Accounting Industries. An automated document system is crucial for safeguarding data safe and keeping your business compliant with these regulations. You’re able to set restrictions on who can see what information, and it will help prevent attachments containing personal data from going missing. Finally, automated systems help streamline workflows and reduce costs for your organisation and for your clients. 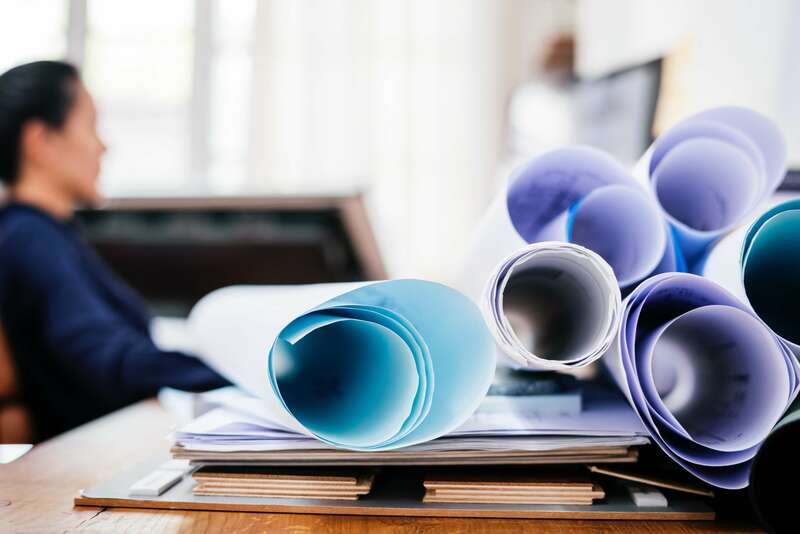 You can ensure that everyone in your organisation deals with documents in the same way, which removes personal quirks that can be confusing and frustrating. Make sure you get a system that also offers existing templates, and the ability to create and save your own. This will save you time when you’re sending requests to multiple clients each week. So if you’re looking for a way to avoid the hassle, cost and risk of manual document handling or email, it might be time to shift to an automated document collection system. It will help you get those day-to-day tasks done on time, with fewer errors and less work chasing up emails buried in a colleague’s inbox. Sign up for a free trial of FileInvite to see how easy, secure and efficient document management should be.